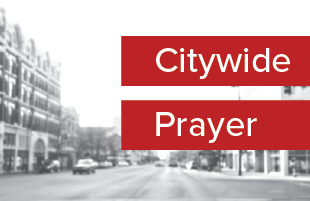 The 19th Citywide Prayer meeting will meet on Thursday, March 14 at Friends University. Let's come together as one church. Let's pray in one unified voice to our Lord Jesus Christ for the revival of the church and the redemption of the city. This meeting will be lead by college age leaders as we pray for the revival on college campuses. This meeting will be held in the Alumni Auditorium. Click Here for a campus map.